When I landed at Jagatsukh (in Himachal Pradesh, India) I saw this strange fruit with even stranger name of Japani being sold. I even asked why was it called Japani but the lady selling it just said that it was the name of the fruit. I suspected a Japanese connection but then forgot to explore more. 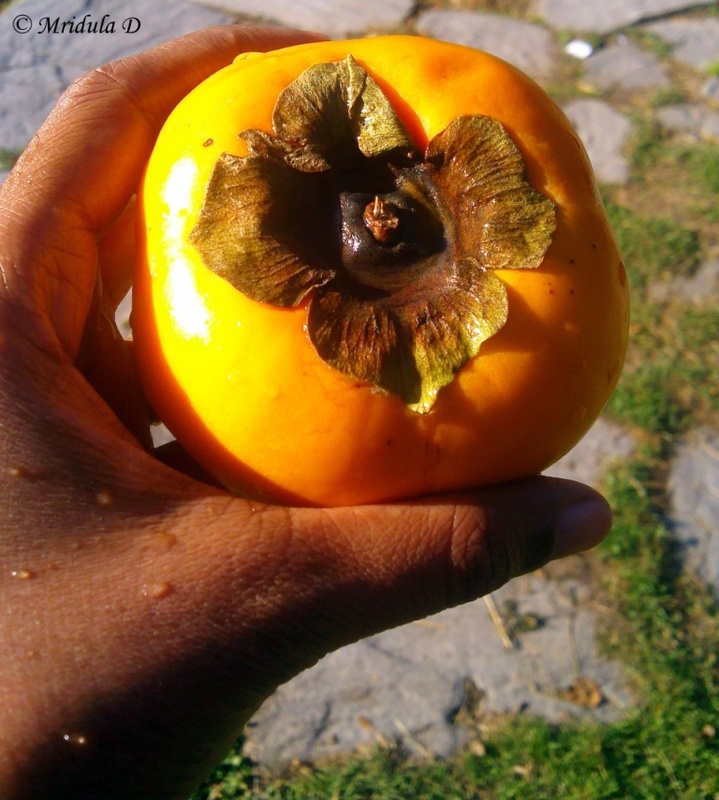 Today I did a search and realized that it is actually called Persimmon and it is a native of Japan and China. The outer skin is a bit hard and bitter so I started to peel it off. The flesh is sweet and tender and to me, at least, tastes like a milder version of Mango. I was actually tempted to write ‘a poor cousin of mango’ but then I have eaten just two Japanis (no no the fruit) and I will like to try more before I conclude about it being the ‘milder version’ or ‘poor cousin’ of Mango.